California may soon become the first state to require hospitals and other healthcare facilities to offer plant-based meal options, a move many providers haven't taken because of the feared effect on their bottom lines. The State Assembly on Wednesday passed SB 1138 in a 69-9 vote, just months after the Senate unanimously approved the legislation in June. Democratic Gov. Jerry Brown hasn't indicated whether he will sign the measure, which would require all licensed California healthcare facilities as well as state prisons to provide plant-based meal options that contain no animal products or byproducts, including meat, poultry, fish, dairy or eggs. "We recognize there's a basic human right to nutritious food that meets our health and cultural needs," said state Sen. Nancy Skinner, the bill's author, in a written statement. "SB 1138 makes sure that California custodial facilities respect that right." Medical groups including the American Medical Association have supported hospitals offering vegan menu options. In 2017, the AMA adopted a resolution that called for hospitals to provide plant-based meals and remove processed meats from menus to promote heart healthy, low-calorie diets. The American College of Cardiology has also recommended that hospitals offer patients at least one plant-based main dish for every meal. But the majority of hospitals have yet to include plant-based meal options in their menus, with many citing costs as a factor for their reluctance. "I think that hospitals are hesitant to do much of anything that might affect their bottom line negatively," said Susan Levin, director of nutrition education for the physicians' organization Physicians Committee for Responsible Medicine. 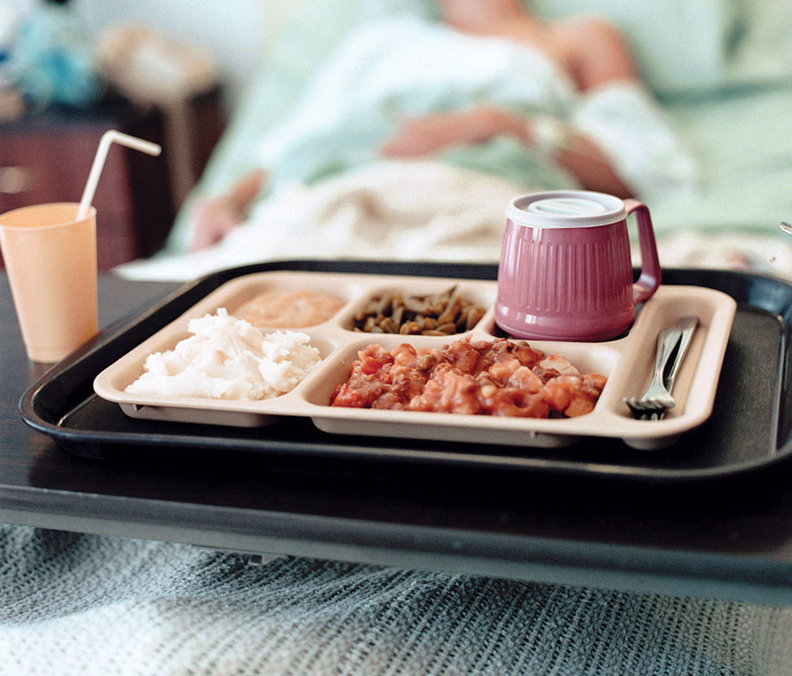 "They want to see more hospitals implement these types of meals to see how they work." Levin said providers must consider what recipes to use, their costs and whether patients will want to eat those options. In a state like California, getting patients to choose healthy menu options may be easier than other parts of the country, and many health systems already offer meatless meals. Kaiser Permanente has offered at least one plant-based food option with every patient meal for several years as part of its sustainable food goals. UCLA Health started offering plant-based food options on its inpatient menus at the beginning of this year. Wilfrido Mercado, director of nutrition for the Ronald Reagan UCLA Medical Center at UCLA Health, said the hospital menu currently consists of two meatless food options for breakfast and up to six vegan entrée choices for lunch and dinner. So far, the hospital's food budget hasn't changed due to the vegan changes, Mercado said. He estimated 20% of patients choose the meatless meal option. If 50% or more selected vegan meals, it could lead to significant cost savings since meatless meals are much cheaper to make. Levin was confident the bill would serve as a test model for other states to follow. But she was hopeful more providers would take it upon themselves to make such changes. "This is the best think as a hospital that you can do for your patients in terms of providing food, so do it," Levin said.